In furtherance of the Congress's stated policy, I have authorized a small number of combat-equipped U.S. forces to deploy to central Africa to provide assistance to regional forces that are working toward the removal of Joseph Kony from the battlefield. So wrote U.S. President Barack Obama, in a letter (full text here) dated yesterday in which he notified Congress, "consistent with the War Powers Resolution," that he was deploying 100 "combat-equipped" military advisors to Uganda to help fight Lord's Resistance Army leader Kony. The move is said to further a 2010 statute that, as posted, Obama signed just as the International Criminal Court Review Conference began in Uganda's capital, Kampala. Obama's letter discussed the LRA's activities in Uganda, the Central African Republic, the Democratic Republic of Congo, and South Sudan. 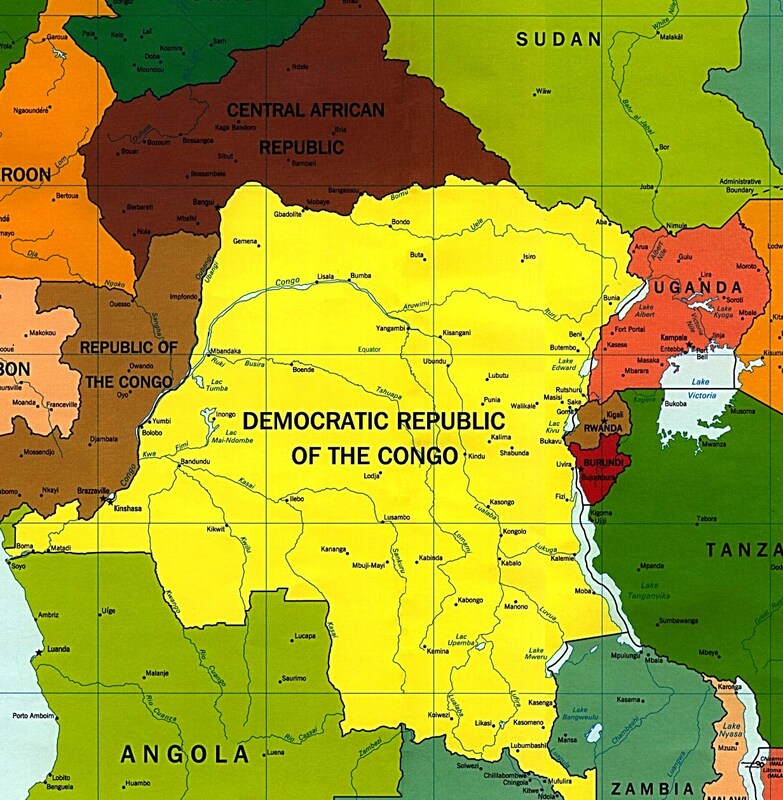 (credit for 1997 map of Central Africa) It made no mention, however, of the fact Kony's the target of an ICC arrest warrant that was issued in 2005 and thereafter became the subject of frequent "peace v. justice" debates. A remarkable move, particularly for a state not party to the ICC treaty.